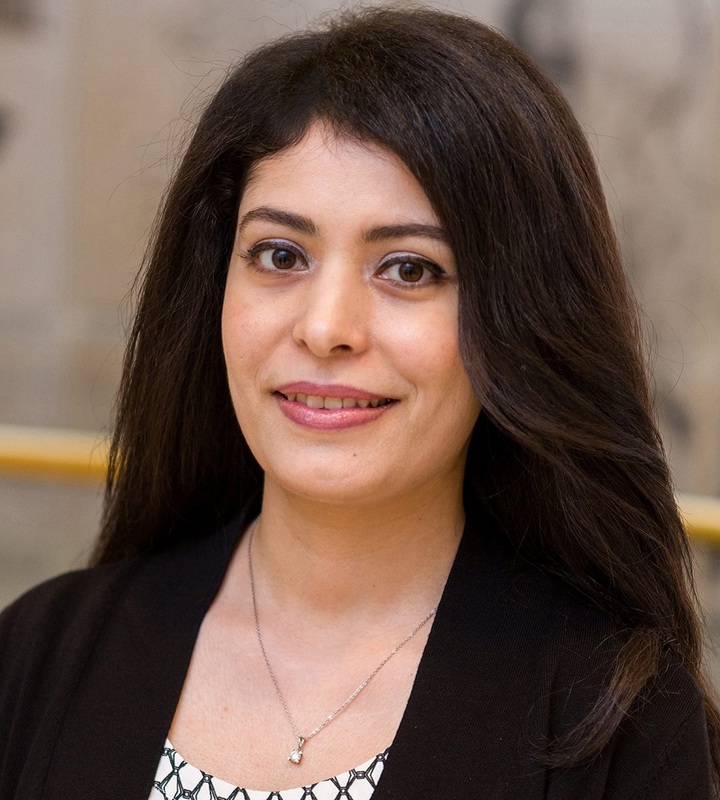 Atena F. Kalat is a postdoctoral researcher in NCATS’ Division of Pre-Clinical Innovation, where she manages projects and collaborates on assay development, high-throughput drug screening and biology of rare genetic diseases that leads to identification of new drugs. Currently, she is primarily responsible for managing the rare genetic diseases drug discovery and biology team, mentored by Wei Zheng, Ph.D., in collaboration with biopharmaceutical companies and disease foundations. Kalat also serves as a reviewer of peer-reviewed journals and grant applications. Kalat joined NIH in 2016 as a postdoctoral researcher at the Eunice Kennedy Shriver National Institute of Child Health and Human Development. In 2018, she joined NCATS, where she has gained experience in pre-clinical research and drug development in neurodegenerative and genetic rare diseases. She collaborates on projects with academia and the private sector throughout the translational science landscape. Kalat received her Ph.D. in molecular cell biology and neuroscience from the University of Tokyo, where she was mentored by Japanese Nobel prize nominee Nobutaka Hirokawa, M.D., Ph.D. During her doctoral and postdoctoral fellowship in Tokyo, she studied intracellular transport, molecular mechanism and the dynamics of kinesin superfamily proteins in neurons and non-neuronal cells. Kalat focuses on managing the biology and assay development of pre-clinical projects on rare genetic diseases, using a variety of biochemical, cell-based and imaging techniques with the goal of identifying drugs with therapeutic potential. She models disease-specific phenotypes by using patient-derived induced pluripotent stem cells and differentiating them to the disease-relevant cell types or 3-D models. Kalat currently collaborates on projects in rare genetic diseases (e.g., congenital disorders of deglycosylation and glycosylation, lysosomal storage disorders) and opioid-related projects. Neural stem cells for disease modeling and evaluation of therapeutics for Tay-Sachs disease. The Molecular Motor KIF1A Transports the TrkA Neurotrophin Receptor and Is Essential for Sensory Neuron Survival and Function. Characterizing KIF16B in neurons reveals a novel intramolecular "stalk inhibition" mechanism that regulates its capacity to potentiate the selective somatodendritic localization of early endosomes.